The transportation network of the United Stated forms a vital infrastructure for trade, commerce, and travel. ECORP had assisted public agencies with many different types of transportation-related projects, including highways, freeways, railroads, airports, bus routes, trolley routes, and subways. 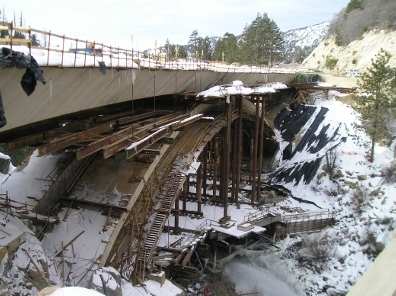 In our work on transportation projects, ECORP has provided CEQA and NEPA studies and overseen the preparation of associated technical documentation, conducted scientific investigations, water quality analysis, project management, monitoring, compliance with construction specifications, worker training, specialized survey efforts, cultural resources data recovery, and many other services. Work on transportation projects involves several different federal and state agencies, depending on the funding source and nature of the project. Familiarity with each agency’s regulations and relationships with transportation planners is an important key to the ECORP approach to transportation projects. ECORP has been involved in all stages of transportation planning, from initial constraints analysis through monitoring and restoration of impacted areas. We understand the importance of proactive and collaborative communications with engineers, planners, managers and other stakeholders in all stages of transportation planning. Whether a project involves construction of a bridge, expansion of an airport, or design of a new interchange, ECORP is well equipped to understand the project needs and meet the challenges through our depth of knowledge and expertise.